Fireaway has been in operation for 14 years proudly serving the Durham, Northumberland and surrounding areas. With a large array of fireplaces, outdoor products our team brings quality and a unique style to every customer we serve. Our team offer’s full furnace, air-conditioning and fireplace installations along with gas piping, WETT certifications and chimney sweeps. Thought I would let you know how pleased we are with our new fireplace. The two guys that came and installed it were professional and very nice people. They did a neat and tidy job and very quickly also. Thanks for coming to the house and helping us decide on which fireplace to install and also for the follow-up advice on how to finish the exterior decor. We will gladly recommend your business in the future. Oh, by the way everyone we come across who has done business with your company feel the same as far as customer satisfaction is concerned. 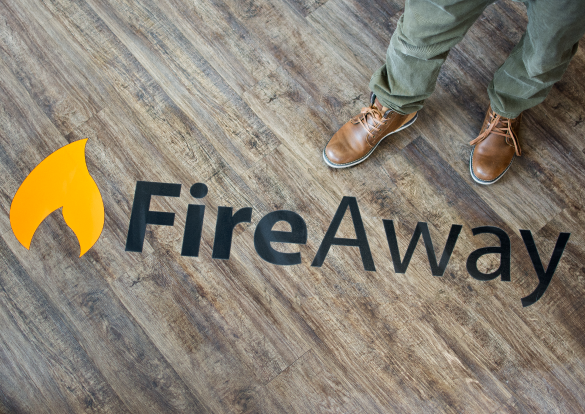 I recently had the pleasure of hiring Fireaway to replace our out-dated fireplace. Nick spent time with me making great suggestions for the new fireplace. It was installed in a timely manner. All staff we’re so talented and pleasant to deal with. The outcome is beautiful. We love it! Thanks to all.